Happy New Year Everyone! 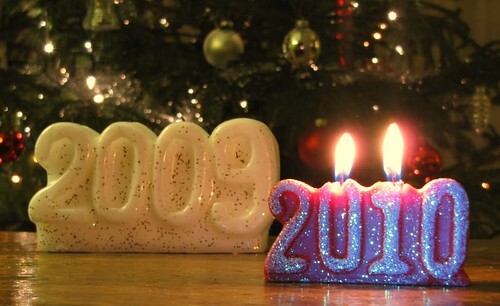 To kick 2010 off, I’m going to make like David Letterman and publish a few top 10 lists that I think will be useful. Over the last few weeks, I’ve found myself having the same conversation with a few of my colleagues about some of the productivity programs I use every day that helps my day be more productive. I hope you can be more productive by sharing these with you. Backing up your PC is one of those things you know you need to do, but people rarely seem to do it. Carbonite makes it dead simple. Install the app, and every time you change a file, it automatically uploads a copy of it to their server. As a bonus, if you’re traveling without your laptop, they now let you access files remotely. $55 a year is cheap insurance against losing all your data if the unthinkable happens. I’ve got subscriptions for my PC, my wife’s computer and my parents’ computer. Mozy is another option I have used in the past. It does a better job if you have multiple machines you want backed up into one account. You can say what you want about Google, but they make really good stuff. My day begins and eds with their products. Gmail has been my email program of choice for a number of years, so much so I’ve got a multitude of accounts. If I’ve emailed you, it’s come through Google, as they are the email provider for my domain. If you’re using their email, you may as well use their calendar, since it integrates so nicely. To keep multiple Gmail accounts open at the same time, I use Google’s browser, Chrome. Finally, to keep up on my reading all my daily, I use Google Reader. Occasionally, I’ve contemplated going back to Outlook (so I can get Xobni back), but I find Gmail just works better. I’ve been using IrfanView for more than 10 years. It’s a lightweight, fast little program that opens every image file I’ve thrown at it (Including DXF files! ), and lets you convert it into a better format, crop it or do a whole mess of other things to it. When you compare it to any other image program out there IrfanView does it faster, more elegantly, and better, and since it’s free software, does it for a lot less money. With so much of my life stored online, having strong, secure passwords is key. The problem is, how do you generate them and keep track of them. KeePass is the solution. It’s a small little program that generates secure passwords for you, and keeps track of the login information and web addresses where you use them. The program is password protected, so prying eyes can’t get at your password file. They now have an iPhone app so you can sync your database between your PC and phone. I haven’t tried this yet, but it’s on my list to get working this year. I work with lots of windows open on my PC all the time, and my desktop is completely covered. I also install a lot of software, much of it just to solve one problem, so I don’t use those programs very often. To find them quickly, I run Launchy. It’s a memory-resident program that pops to the front when I press <Alt>+<Spacebar>. It pops up a little text box, and I start typing the name of the program I want to launch, like “Excel” or “Calculator” or “IrfanView”. As soon as Launchy figures out what I’m looking for, it shows me the program’s icon, and I press <Enter>, and the program starts. Very handy. There are lots of times when you don’t need a word processor to write some text, but you need a few more features than the built-in Notepad. Enter Notepad++. It’s got Syntax highlighting, a spell checker, and tabs, so you can have a bunch of documents open at once. If you want to send out a document these days, a PDF is the way to do it. There are lots of ways to make a PDF, and most of them are expensive and slow. PDF Creator is an open-source program that installs as a printer driver, letting you turn anything you can print into a PDF. You get a PDF, and need to highlight it, put a comment in it, fill it out and return it to someone, or even just look at a document without a reboot required update. Adobe Reader won’t let you do that. So for this, I use Tracker Software’s PDF XChange viewer. I upgraded to the Pro version, which allows you to extract or insert pages into a PDF document, and a few other things that you can’t do other than buying a full Adobe Acrobat license for $300 plus. In sales, you need to keep track of what is happening with all your projects and all your clients. There are lots of tools out there, but I find Salesforce works the way I work, and puts the information I need at my fingertips. I use the Group Edition, which meets most of my needs, but will probably upgrade to the Professional Edition soon to get access to the excellent Conga Merge add-on for creating all sorts of custom documents. Texter is one of those little single-use programs that saves you tremendous amounts of time every day after you install it. You define a shortcut that you type, and then the text that you want to have appear after you type it. It’s great for boilerplate emails or documents. I use it to store a number of different situational signatures for my email, and for long links to specific pages on a website. It can even automatically paste the contents of your clipboard into what it replaces, and put your cursor right in the middle of things when it is done. It’s another open-source program, so there’s no charge to use it. A few other programs I use regularly, but didn’t make it to this list here are: Avast Anti-Virus ($40/year) which again is faster and lighter than the big boy’s stuff. (Just make sure to turn off the sounds for the update announcements). File Hippo Update Checker (Free) to make sure you’ve got the latest and greatest upgrades for all your software, especially the open source stuff. FreshBooks ($20+/month), an alternative to Quickbooks. Instapaper (Free) which lets you bookmark any website to read later. RingCentral ($14/month) who is the provider of my “virtual” toll free number. TeraCopy (Free) which is a faster and more accurate replacement for the default Windows file copy utility. and TripIt (Free) travel organizer: Email it your plans, and it automatically organizes them into an itinerary. In the interest of full disclosure, I have affiliations with some of these sites which compensate me if you complete a transaction with them.